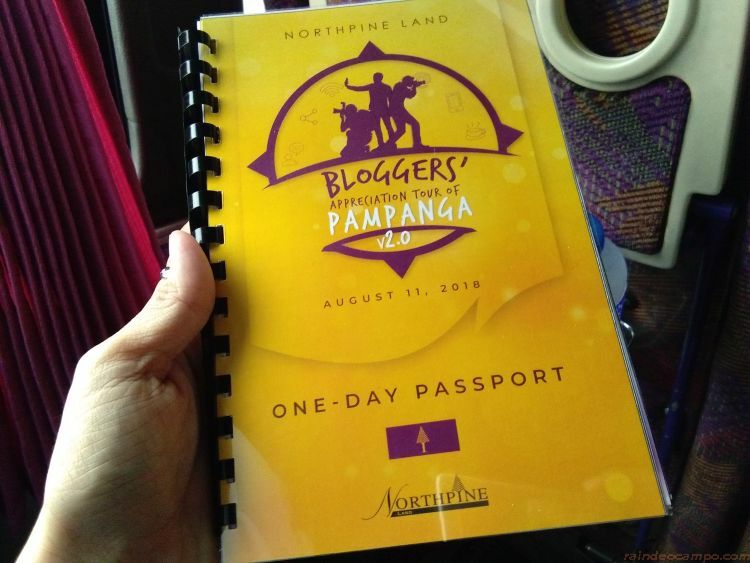 Last Saturday (August 11), NorthPine Land, Inc., sponsored a special one-day bloggers appreciation tour of Pampanga. NorthPine Land, one of the most trusted property development company in the Philippines is a joint venture of Hongkong Land, San Miguel Properties, Metrobank and BDO. 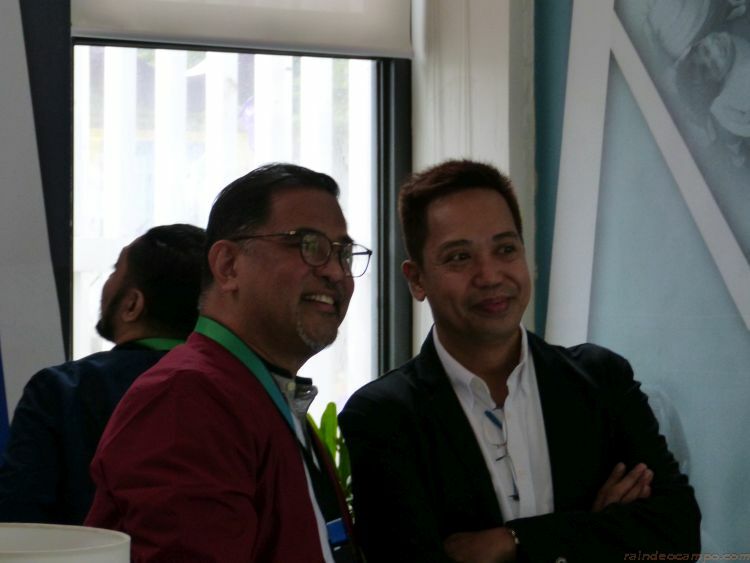 They have a total of 16 existing projects, two of whom are located in San Fernando, Pampanga – Montana Views and Montana Strands. The group assembled early at Figaro, Taipan Place in Ortigas together with our wonderful hosts from NorthPine Land and our designated tour guide PR man Richard Burgos who is also currently the director of the Science and Technology Information Institute of the Department of Science and Technology (DOST). PAMPANGA is one of the 7 provinces in Central Luzon or Region 3 composed of Bulacan, Bataan, Zambales, Tarlac, Nueva Ecija and Aurora. Known for its delicious cuisines, proud people and their inherent ingenuity – they have risen from the ashes of Pinatubo to become the Christmas capital of the Philippines. After reaching San Fernando, we made a quick stop at the model park of NorthPine Land’s Montana Strands to view its four model units – Madison, Sandy, Trinity and Ruby. 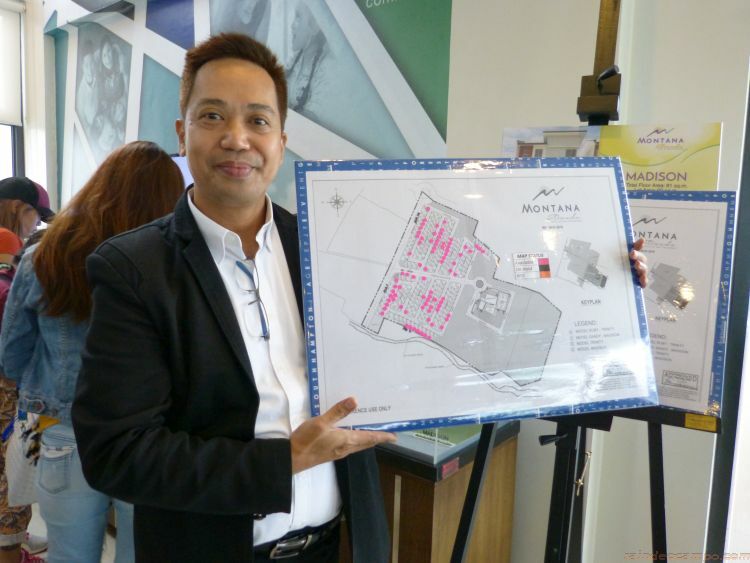 The Montana Estates covers a total of 40 hectares with 8 hectares allotted to Montana Views and 6.5 hectares to upcoming Montana Strands developments. Montana Strands is a retro modern-inspired lifestyle community filled with greens, outdoor scenic views and contemporary amenities that seeks to redefine suburban living. 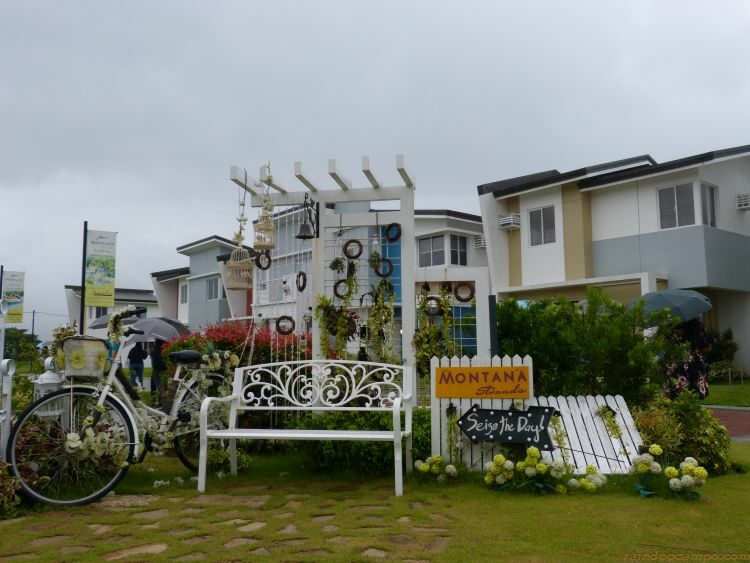 The Montana projects are just 1.5kms away from NLEX Mexico Exit and just a couple of minutes away from the city proper. A perfect location to simple yet comfortable living in Central Luzon. The first official stop of our Pampanga tour is at RolRen’s Lanterns and General Merchandise. Known for making Christmas even brighter not only in the City of San Fernando but also in some parts of the world, RolRen’s Lanterns has already established its reputation for being one of the largest parol suppliers in the Philippines. 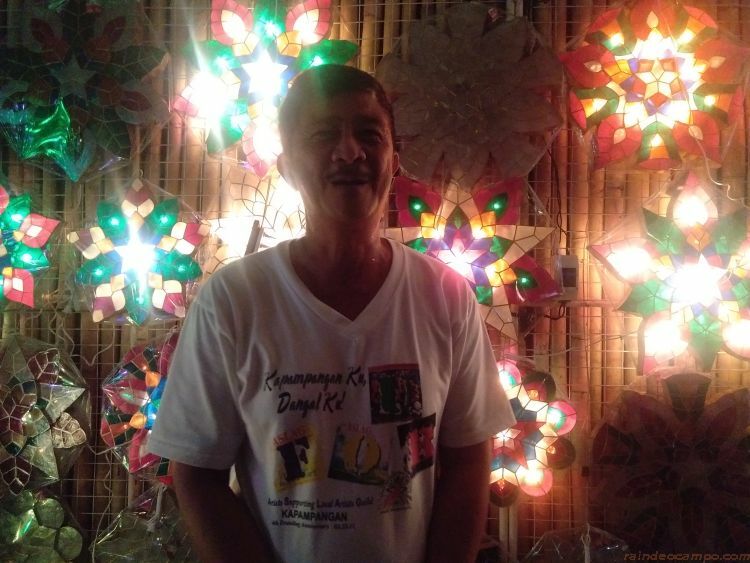 Behind these colorful and dazzling lanterns is its owner Rolando Quiambao who is regarded as the Philippines’ “Parol King” – after Mount Pinatubo erupted, Rolando was commissioned by the local government to adorn the city’s lamp posts with his parol designs to give hope to the calamity ravaged Pampaguenos. Participants were able to experience designing their own Christmas lanterns with the guidance of Mr. Rolando Quiambao himself. In April 1942, this old train station was the endpoint of the 102-kilometer walk from Bataan to San Fernando during the World War II popularly known in the history books as the “Death March”. 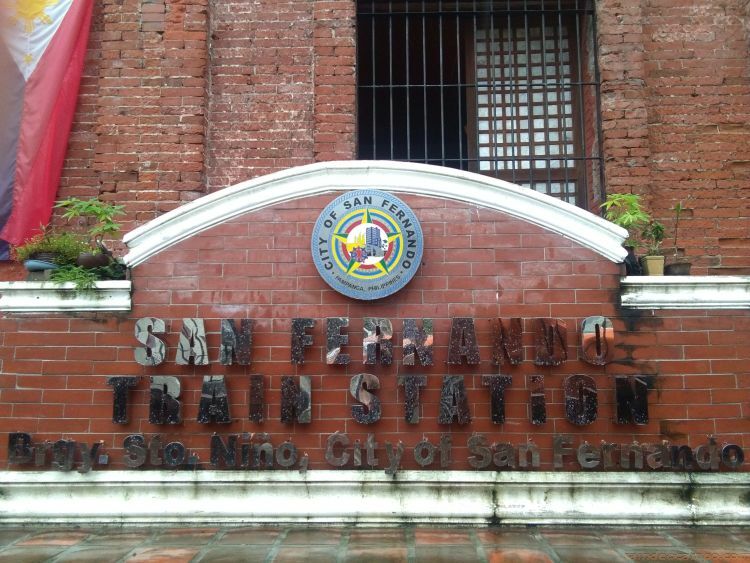 Among its famous visitors is Dr. Jose Rizal who disembarked from this station to visit his colleagues in San Fernando and Bacolor in June 27, 1892. Now a bare defunct railway station, the place has become a small museum which houses crafts and works of great historical importance. 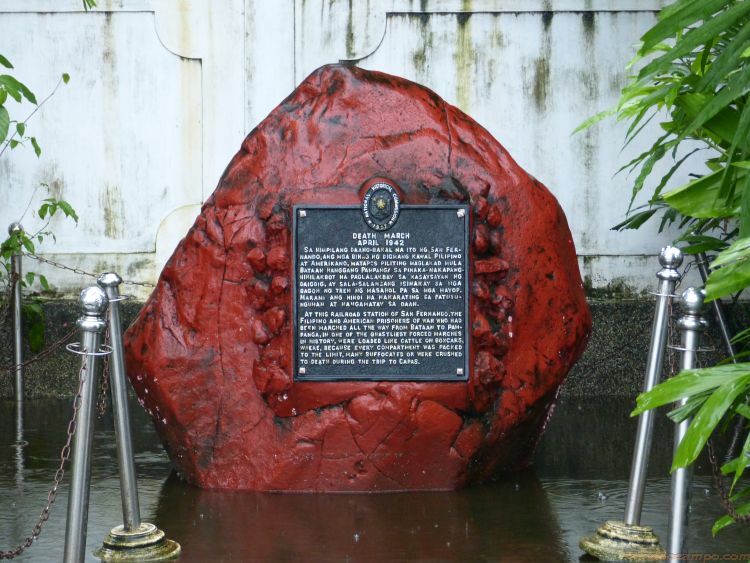 The original Death March marker “Pulang Bato” can be found outside and right in front of the San Fernando Train Museum. 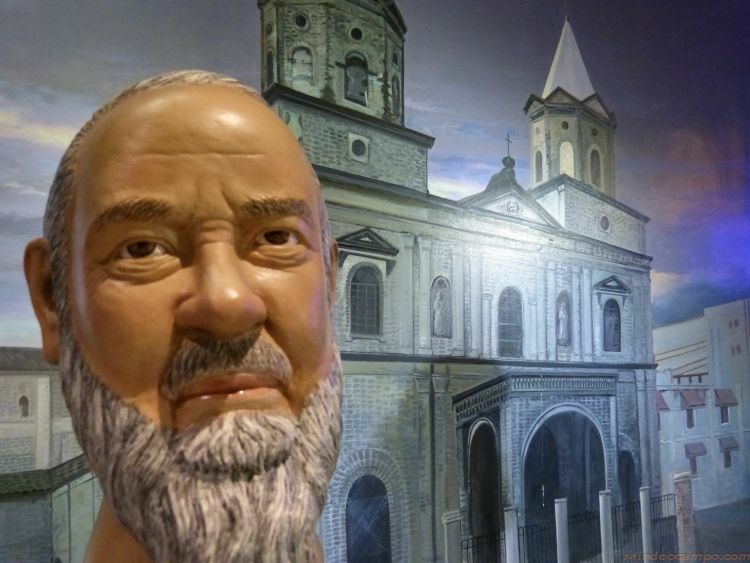 The museum is located near the Pampanga Provincial Capitol and Governor Macario Arnedo park. Our lunch were served at Apag Marangle located along Jose Abad Santos Avenue in Santa Barbara, Bacolor, Pampanga. From its name which means “hain sa bukid”, the restaurant’s dining area is situated in the middle of a pond. 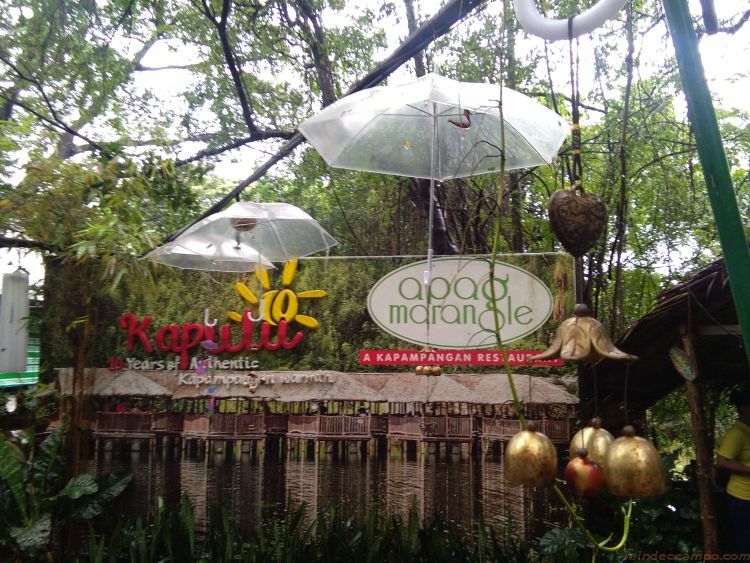 It offers a one of a kind culinary experience with its line up of mouthwatering Kapampangan cuisines. 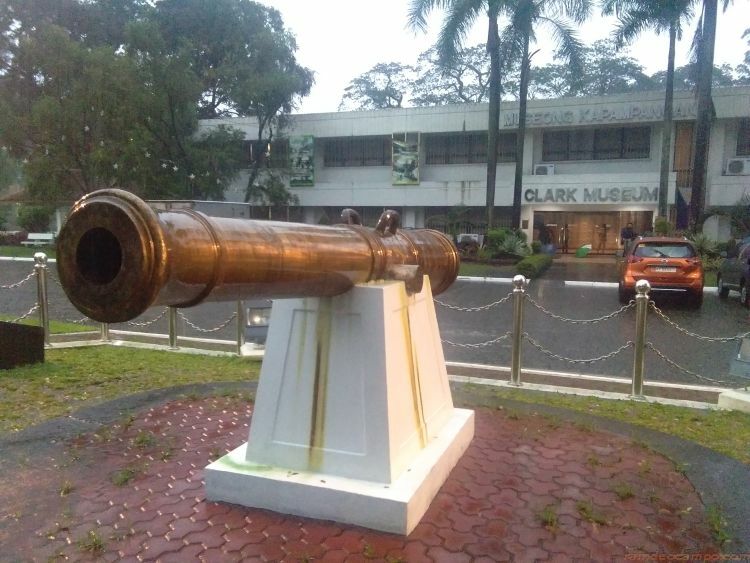 The two-floor Clark Museum features a wide array of artifacts, old photographs and various art works that shows the rich talent and culture of Pampanga. 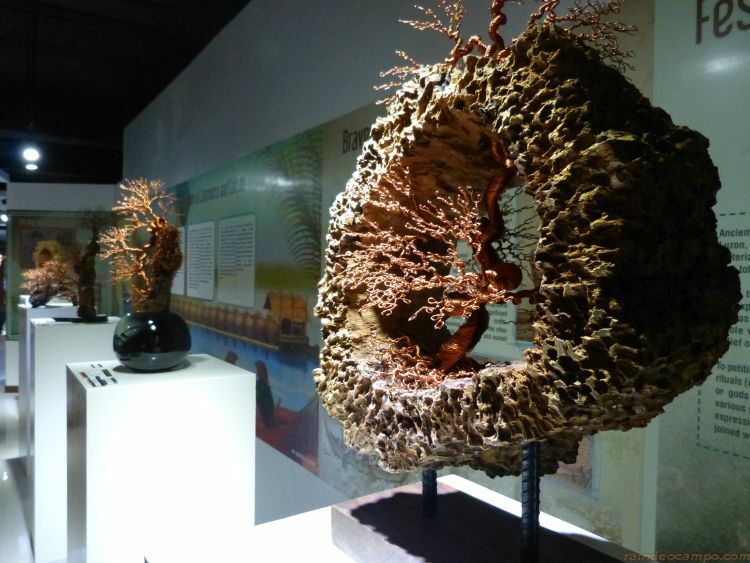 The exhibits are arranged into four galleries. 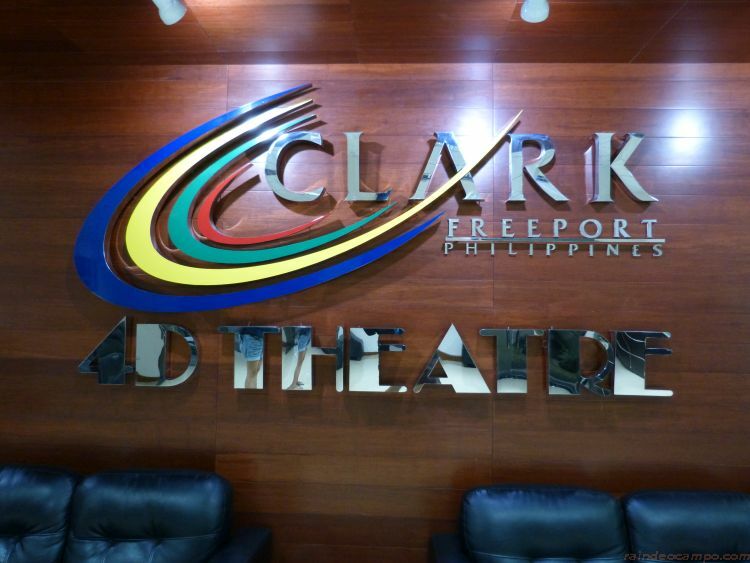 The 4D Theatre on the other hand provides a bird’s-eye view of Clark from its favorable geophysical characteristics, industry and trade, its American colonial heritage, its rise from the ashes story from the Mount Pinatubo calamity, and up to their spirit of bravery and ingenious vision towards the future. 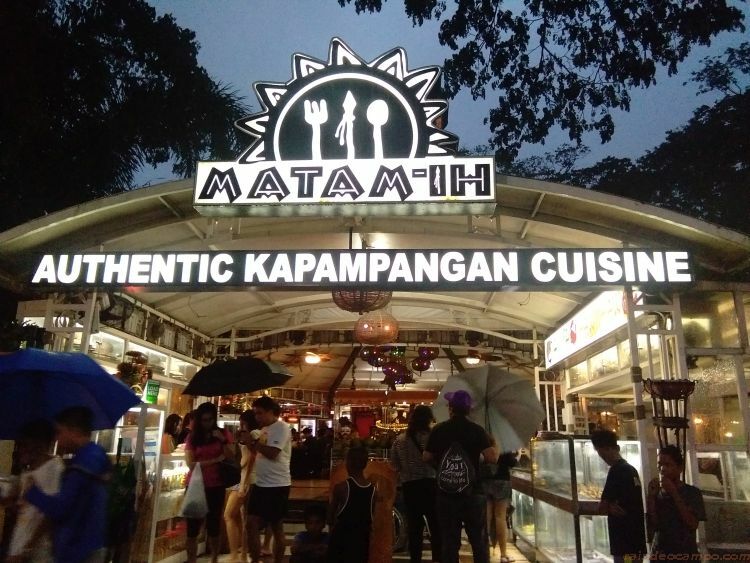 Just a stone’s throw away from Clark Museum is a uniquely-themed restaurant called Matam-ih Authentic Kapampangan Cuisine. Matam-ih is an aboriginal Aeta word which means delicious and its name says it all. 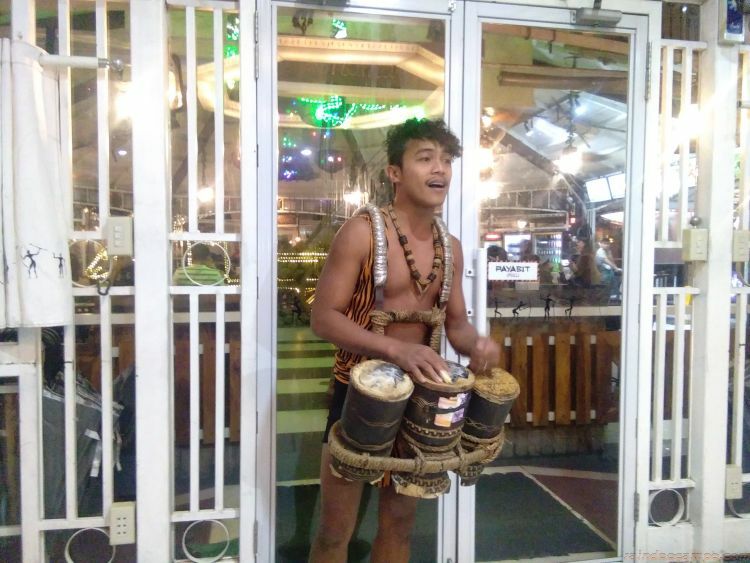 It offers the best and most delicious Kapampangan dishes in town – even the most exotic like Croco Wali (Deep Fried Crocodile Meat) – 495 Pesos, Betute Tugak (Fried Stuffed Frogs) – 220 Pesos, and Pritong Adobong Camaro (Mole Crickets) – 240 pesos. I am not much into the exotics, but I did love their Kare-Kare, Getaan Laing, Shrimp Charon and Sisig. So that sums up our one day Pampanga Appreciation Tour experience. This is not my first time to go to Pampanga, I have been to this province a lot of times already and yet it seems that it doesn’t run out of culture-rich places that are worth visiting. We were suppose to visit the “Sunken Shrine of Bacolor” or the historic Archdiocesan Shrine of the Our Lady of Lourdes – who survived the wrath of Mount Pinatubo in 1991. However, the non-stop rains and flooding made it impossible for us to visit it during the scheduled tour. I was really expecting to see the church, but there’s always another time. Even with the persistent rain, the tour turned out really awesome. 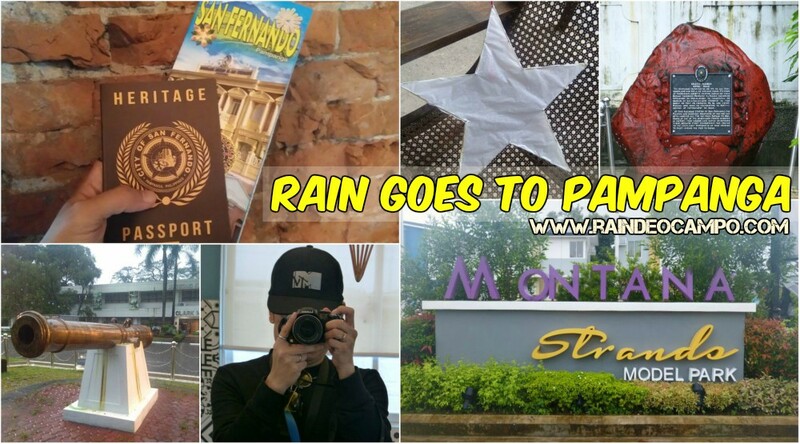 We got a lot of souvenirs to bring home like our Parol from RolRen’s, a pot of Oregano plant from Apag Marangle, our very own Heritage Passports given at the San Fernando Train Station Museum and the tastiest cheese bread that I’ve ever tasted from L.A. Bakeshop. 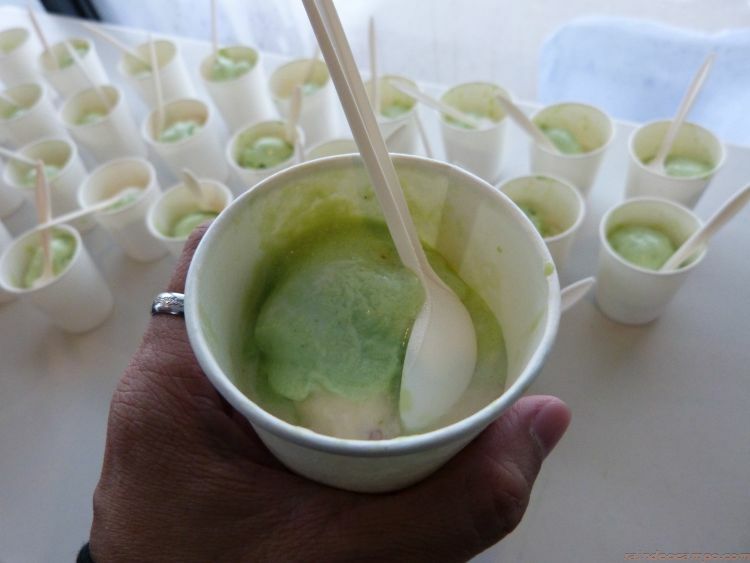 Oh, and that Avocado and Gabi ice cream from Wiggies! A piece of sweet heaven. Thanks for this wonderful experience NorthPine Land!